A truly classic piece of jewellery for the discerning Fox lover. 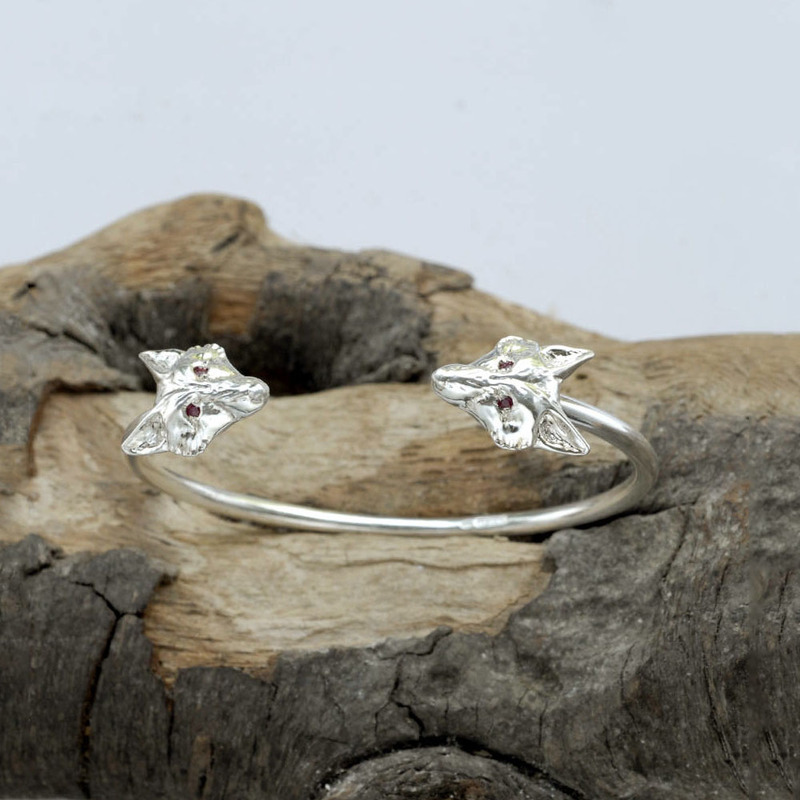 This striking Fox bangle in solid Sterling Silver with Ruby eyes has a simplicity which lets the Foxes' heads stand out and will certainly make the bangle a talking piece. The underside is extremely strong as it is made of a Solid Silver wire. The bangle carries a 10 years guarantee and comes presented in a luxury black bangle box. A great gift idea for 25th (silver) or 40th (rub) wedding anniversaries. Made from: Sterling Silver and Rubies. We will notify you once your Silver Fox Bangle With Rubies has been dispatched.